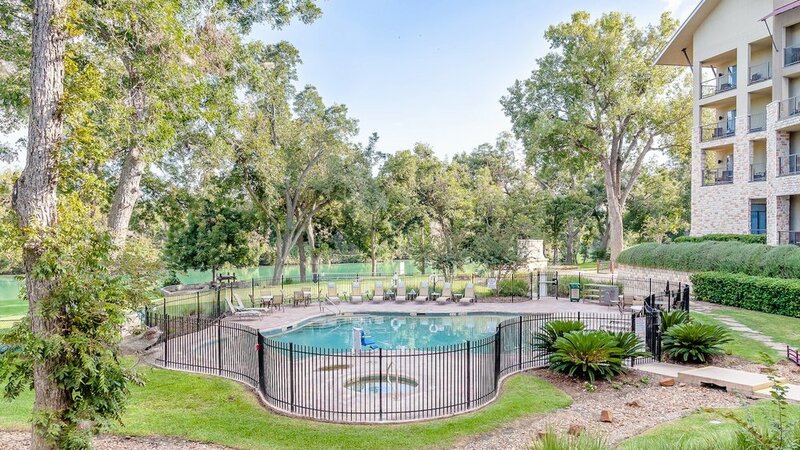 The Courtyard River Village located in New Braunfels, TX is undoubtedly modern, exquisite and peaceful. This stunning hotel is located on a beautiful river and surrounded by numerous adventurous activities such as: Schlitterbahn (heart-racing waterslides), Rockin R Tubes (float down the river), Natural Bridge Caverns (explore natural caves), Gristmill River Restaurant and Bar (enjoy a delectable dinner and drink), and Canyon Lake (admire breathtaking views)! 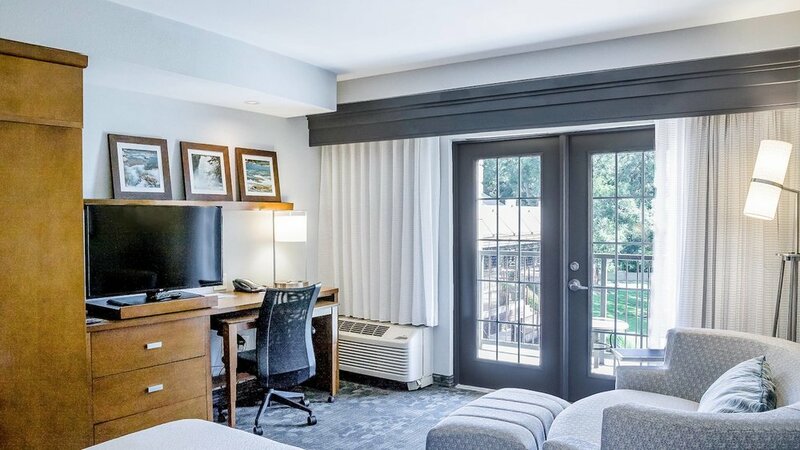 In addition to the boundless opportunities of fun, Courtyard River Village is the perfect place to relax with balcony views and fresh-air! Quiltcraft was privileged to team-up with TEKMAK Development to create elegant draperies for all guestrooms at the Courtyard New Braunfels River Village. These draperies were specifically designed for each individual room to ensure beauty and function combined seamlessly. To create the paradise environment in guest rooms, graceful sheer fabric is layered over bold blackout fabric. Keep scrolling to admire the River Village hotel by Courtyard in New Braunfels.